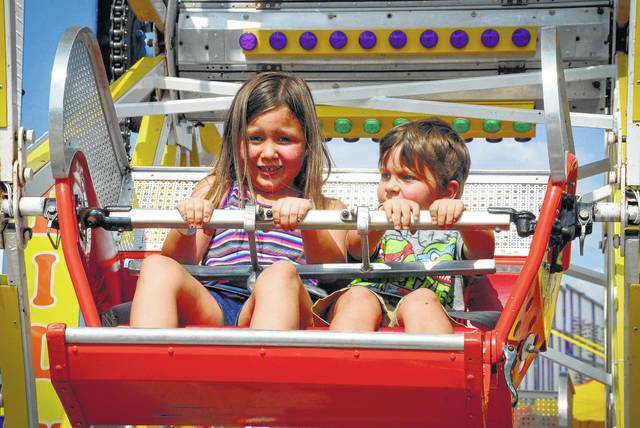 It maybe a small ferris wheel, but to someone who is small like Khloe Stokes and Elijah Nappi it seemed as big as the 40-foot tall one across the way. 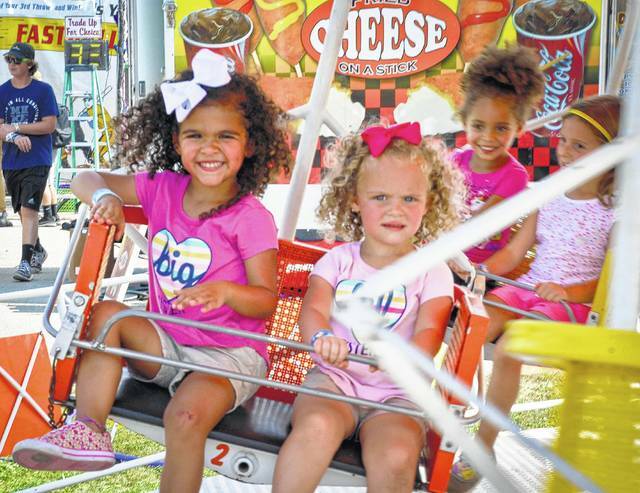 Flying around on the Swing Ride created a nice, cool breeze on the hot day for sisters Isabella, left, and Harper Corbin. 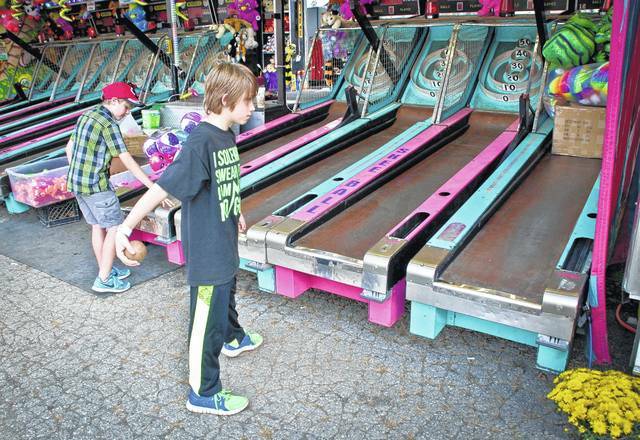 Gabriel Nelson’s technique to rack up the points was to stand back away from the Skee Ball game. 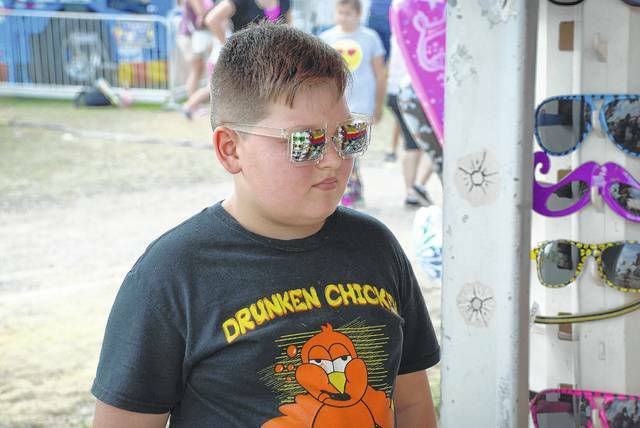 Trying on all the sunglasses to decide which ones made him look the coolest at Mr. Fun Concessions is how Tabon Tapp spent some of his time at the fair. 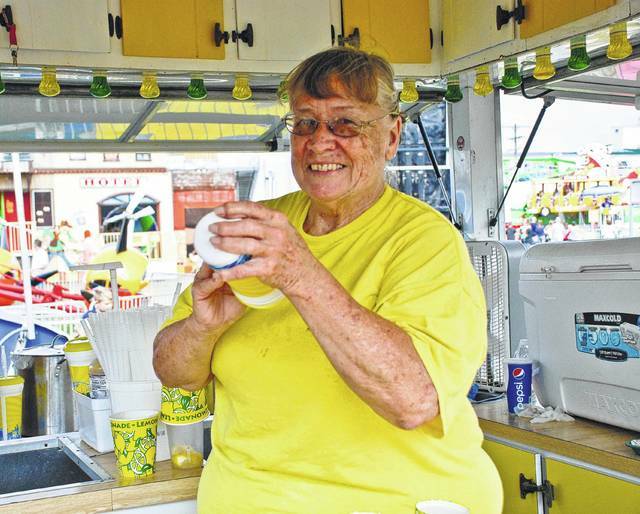 Shaking Lemon Shakes is something that Jenny Kimbler has done for 18 years. All those years of shakin’ has to be a world record. Hey, get out of the way! 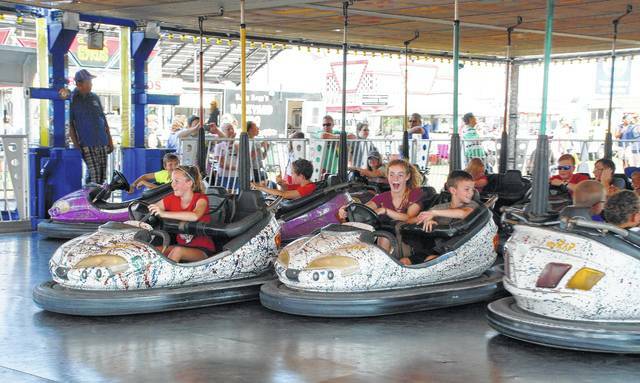 There aren’t any brakes on the bumper car or at least that’s what it seemed like as these future drivers crashed into each other. 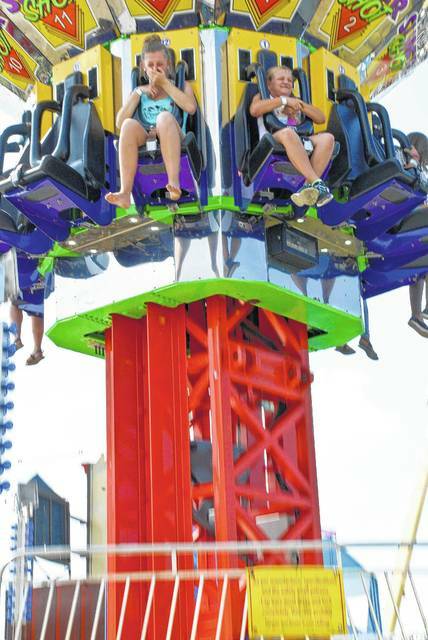 Rock’n roll was one the word and the ride of the day at the fair. 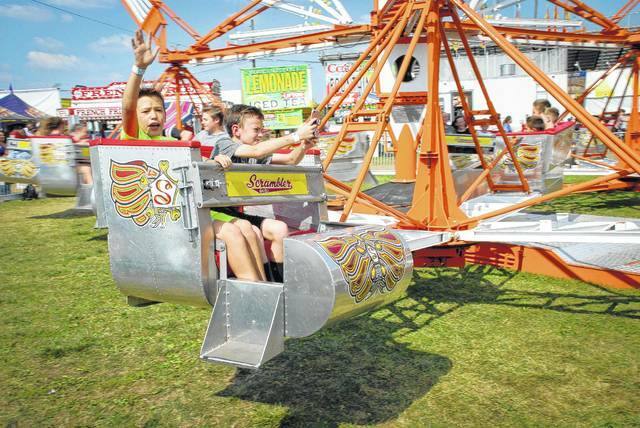 Around and around they went with big smiles and waves to the crowd as they rode the Scrambler. 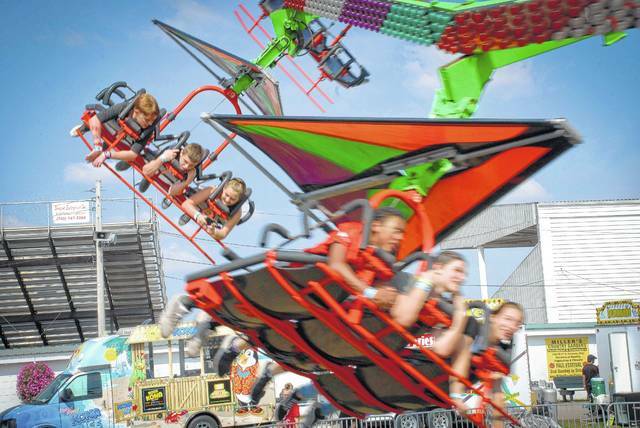 If there was an award for the loudest ride at the fair, it probably would go to Top Gun. 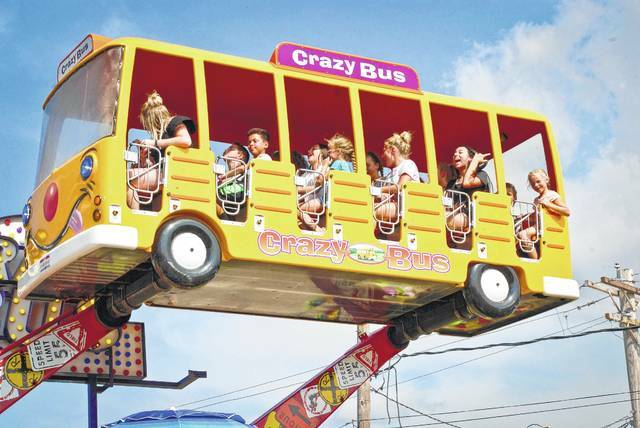 Each time the cars peaked at the top, the riders would just scream waiting to come down and around again. 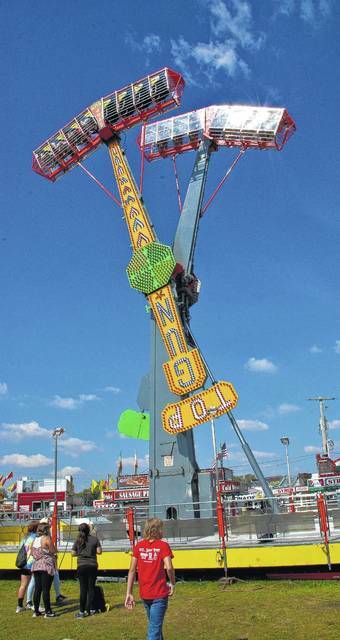 Riders hold their breath as the Super Slingshot slowly draws to the top, only to stop for moment before plummeting to the bottom again. All the breath the riders had held seem to come shooting out in screams of delight. 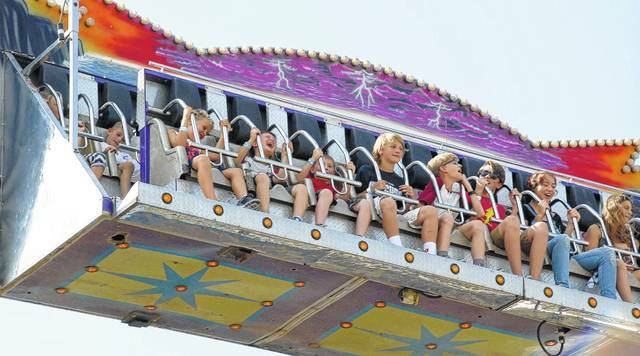 The Hang Gliding ride gave kids a chance to talk as they rode. Looking close enough at the back kite, it gave one girl a chance to catch up on her texting. 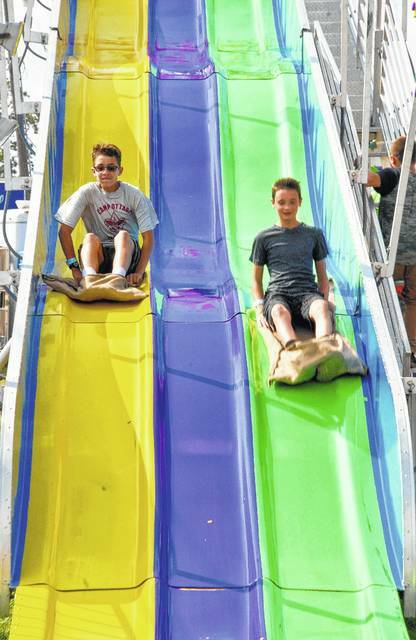 Racing with a friend down the Fun Slide is Isaac Neff, left, and Gary Weckerly’s idea of fun. This entry was tagged County, delaware, Fair. Bookmark the permalink.